This is an easy trail with a few challenging sections. Once you hit the red loop coming off of the green loop there is a short descent that is washed out with alot of roots and loose rocks. This makes the red loop alittle more fun than the rest of the trails in this trail system. Also try climbing this section. 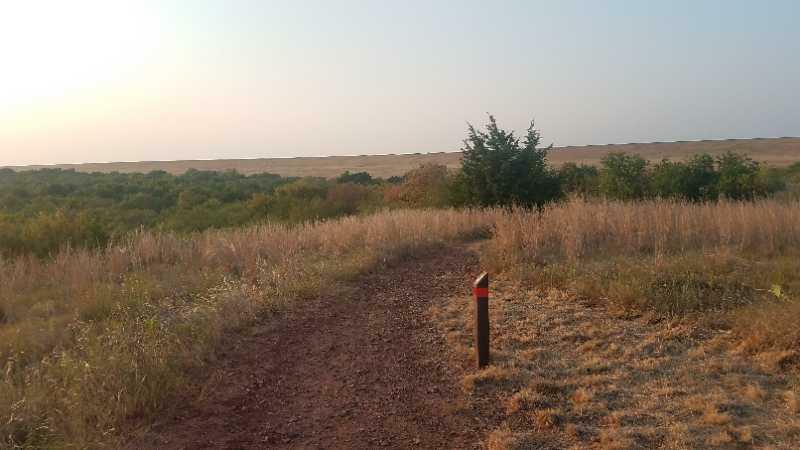 Review: This trail is the best of the 4 trails in waurika. It has about a 150 yard section of fun downhill style riding. You can get some good speed and for a moment you even forget your in the flat state of oklahoma. The trail leads into the other 3 trails and you can hit all 4 in about an hour depending on your endurance. Red Loop MTB Trail 3.00 out of 5 based on 1 ratings. 1 user reviews.